RMC UCC Contemplative Camp donated many hours of their week to revitalizing the labyrinth. 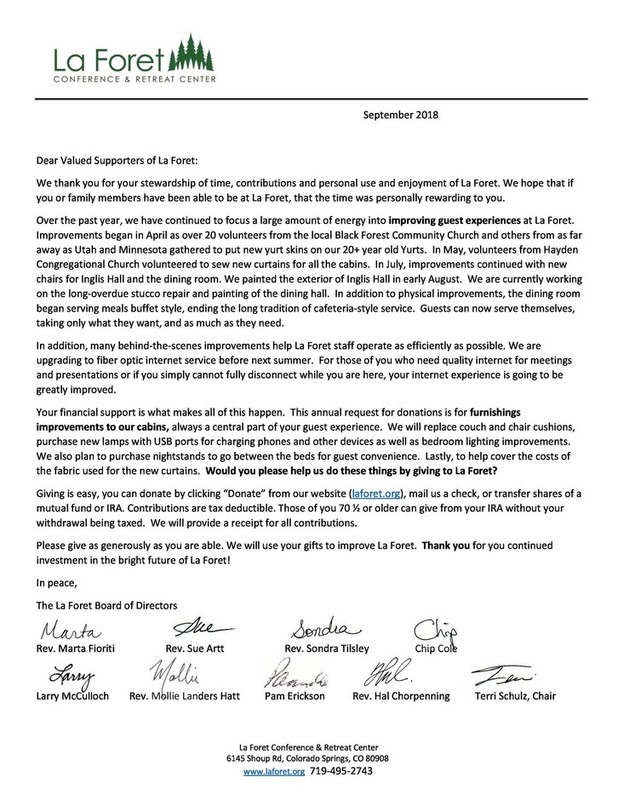 We are so grateful for these dedicated supporters of La Foret. Several of the original creators of the labyrinth including Don & Marilyn Seymour their son, Dana and daughter, Diane along with Eileen Abbatista participated in a celebration service organized by Sally Palmer. It was a beautiful ceremony and La Foret is very blessed to have the labyrinth as a permanent feature that enhances this sacred place. I bet you all had fun with the camping activity. Hope we can join next time! Do not forget to check out https://australianwritings.com.au/do-my-assignment-for-me/ best writing services when you need help with writing.